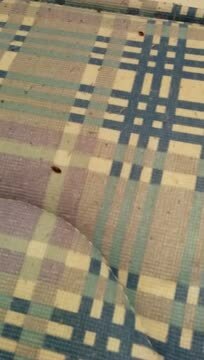 What does a Bed Bug look like? Find out below! All pest control treatments carried out for your home and business. From Rats to Cockroaches and Bedbugs to Fleas, we undertake all aspects of pest control and deal with each problem professionally and discreetly. Proofing works also carried out to prevent re-infestation. We are fully registered with The National Pest Technicians Association and hold £5m liability insurance. Our friendly and understanding approach to your pest control needs will make you feel at ease and assured that your pest problems will be dealt with quickly and effectively. "I am writing to thank you for all your much appreciated efforts and the great work you have done for Parkheath since joining our list of approved contractors last year. We are very pleased to have you on board. Not only are you extremely responsive and effective but your prices are very competitive and this is a huge plus for us when sourcing the best options for our clients. Thank you very much." - Geraldine Creek (Head of Property Management).